There is no real cure to quit smoking. That comes from within yourself. You must believe that first. Don’t ever believe anyone who claims to have found the cure to fight nicotine addiction, because there is no such thing. No patch or gum or pill will ever magically cure your addiction. The only things that do work are approaches, and this is one of them. 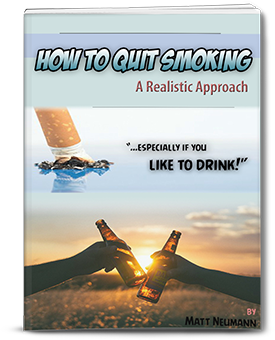 Designed for the “pack a day” smoker, or anyone who smokes a lot and likes to go out and drink, this method will give you a winning strategy and help you remain a non-smoker once you’ve thrown away that last cigarette for good. But you need to be ready, and you need to want to move forward in your life. I can’t stress that enough. •What to do on Day 1, especially at night. My eBook is $5.00. That is really nothing when you think about it. If you can’t spend $5 to quit smoking, then you can’t afford to be buying cigarettes in the first place. But if you don’t find my information as of use to you, I will refund your money, no questions asked. But at least give it a try, and keep an open mind. It all makes sense. 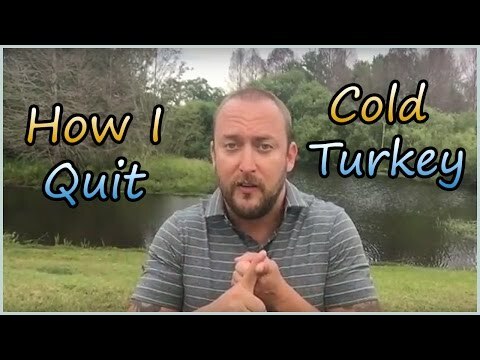 You get instant access to How to Quit Smoking: A Realistic Approach in under 10 minutes through a safe and secure transaction. Right after your order is approved (usually in seconds), you will be able to download it immediately. I’m also giving you my journals of my first 30 days of quitting, one for each day. So you get those, too, for free. I simply wrote down my thoughts and feelings each day. Hopefully you’ll be able to relate to me, and the troubles I faced.